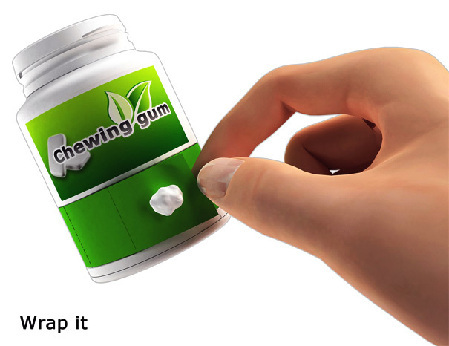 The “Green Seeds” chewing gum bottle designed by Jiang Gonglue makes it easier for you to deal with gum residue. 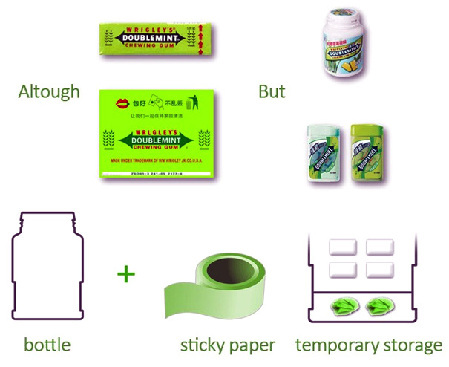 The bottle features a perforated paper-tape dispenser at the bottom plus a temporary storage space for used gum. 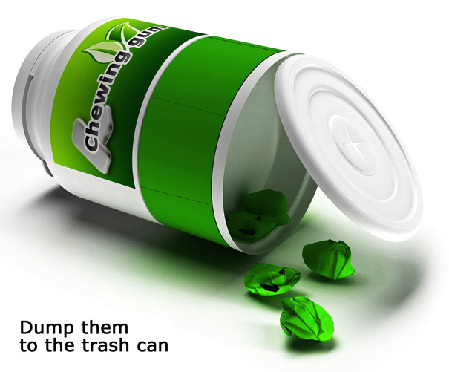 To dispose of the chewed gum, you just need pull off the paper stub, wrap the used gum and shove it into the bottom. 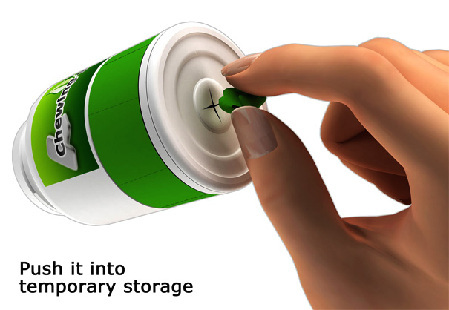 The design won Jiang the Gold Prize of Zhenhai Cup Design Competition in 2009.